1. Members are entitled to play at any time during opening hours, provided that the courts are not reserved for competition play, reserved for use by leaseholders, schools or social court hirers, or have not been closed by the Committee. 2. Court bookings can be made via the Club’s booking page on the Club website. 3. Non-members are required to pay a court fee. Both members and non-members are required to pay for lights for night use. 4. No animals are permitted within the Club complex unless prior permission has been granted by the Committee or Executive Committee. 5. The artificial clay courts (Courts 1 to 5) are to be swept on completion of play except if too wet to do so. 6. Sports shoes must be worn on the courts at all times. 7. Members and visitors are required to wear neat sporting attire on court and neat sporting / casual attire in all other areas of the Club complex. 8. Children are not permitted within the Club complex without adult supervision. 9. Members and visitors shall behave at all times with due regard for other members and visitors. 10. Members and visitors shall not act in a manner that is likely to bring the Club into disrepute. 11.  Professional coaching is available through the Club’s contracted coaches, The Tennis Domain. Coaching services cannot be provided by persons other than the contracted coaches with the exception of members coaching their family members or by arrangement through the contracted coaches or the General Manager of the Club. 12. Members and visitors are not to advertise, solicit or initiate personal services, commercial dealings or sale of goods to members or visitors on any part of the Club complex without written permission by the General Manager to do so. The General Manager shall have the discretion to determine if such commercial activity is taking place. 13. The number of balls on court should be limited to the amount reasonably required to play a game. 14. Glass bottles are prohibited from the court areas due to Occupational Health and Safety requirements. 15. The Committee may impose a penalty on members who fail to comply with the provisions of the Club’s Constitution and By-laws. Penalties may include cancellation of Club membership or a ban from using the Club facilities.